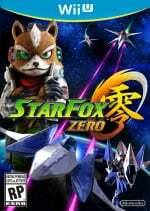 Last week brought Star Fox Zero to the Wii U, the first new entry in the franchise in a number of years. Some early indications on its performance have come through with the UK charts, and the result is reasonably good. The number one and another arrival this week is Ratchet & Clank on PS4, which had a substantial marketing campaign and has an accompanying movie around the corner. Star Fox Zero was never likely to compete with that, but it has made its all-format début in 6th place. More notable is that the Wii U-exclusive secured third place in the single-format chart, only behind Ratchet & Clank and Dark Souls III on PS4. The rest of the top 40 is very light on good news for Nintendo, with all but one other release tumbling out of the reckoning. 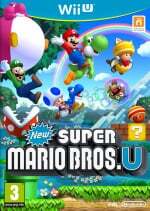 That survivor isn't Pokkén Tournament, surprisingly, but rather the Nintendo Selects release / bundle of New Super Mario Bros. U / New Super Luigi U; it's still doing relatively well in 29th place of the all-format chart. All-in-all it's not a bad début for Star Fox Zero in the UK, though it'll be interesting to see how its momentum holds up. Next week will bring Yo-kai Watch on the 3DS, as the franchise aims to make its breakthrough in Europe. It's a good game overall and an experience you won't get anywhere else. I was surprised by co-op myself. I knew I'd be playing it because my 7-year-old loves co-op, but I didn't think it would be so fun. Both people have plenty to do and you have to communicate with each other. To go along with your general sentiment I think Star Fox fans writing this game off are doing themselves a disservice. The graphics don't compete in detail or realism but they are clear and a big step up from previous installments. The game play is about maneuvering these different vehicles in all sorts of situations and if fans commit to exploring that type of fun they'll find less of a struggle against wanting it to be what previous installments were. My kids are eating it up and they had very little exposure to other Star Fox games, so it's succeeding on multiple levels in at least this home. If you own a Nintendo console, you do so because you want to experience new, interesting experiences. Starfox 0 and Guard are definetely that! Having great fun with it. Not sure if I can be bothered with Ratchet and Clank- seems a bit by the numbers. That's awesome! All of those top 3 games deserve it. Ratchet is amazing. I haven't played DS3 or Star Fox yet. Probably better than SF0 deserves in my opinion. A good game spoiled with needless Gamepad use forced in. Not bad, but had so much more potential. Very happy about R&C however. It tripled the previous best debut week for the series, which is hugely impressive on what is still a new console. Life in the 3D platform genre after all. And those are the 3 games I'm playing lol. Well, among others. R&C, Dark Souls 3, Star Fox Guard, Star Fox Zero, Bravely Second and still trying to wrap up Fire Emblem Fates: Conquest. But ya Star Fox is a really fun game- no doubt about it. I'm so happy with this release. SF Guard is an excellent little game too, and really rounds off the Star Fox package nicely. I still can't cope with the controls. 8.5 hours of playtime now. I might have to get Guard though. The demo was good. It's definitely the better of the two. Seeing That Dark Souls 3 sold about 47k last week and assuming that it followed the usual 70 to 80% drop this week, that puts SF:0's first week sales at around 12k or below. I do wonder about next week's numbers. I'm sure there were people who were waiting on reviews due to all the "noise" being made before its release. As more people have played it and said positive things about it, I wonder if that may make more people decide to take the plunge. Honestly I do think Nintendo should consider releasing a demo. Despite the community praise there understandably are some people who are apprehensive of the controls and don't want to risk putting down money on a game that may not work for them. It's probably going to fall off the charts next week, but it at least did a decent first week which most Wii U games often perform that way. Ratchet has had great reviews across the board and was released at a discounted price, so not a shocker that it went to the top. I read a great review for sf0 over on Gamecentral, and went to Game to pick it up as last week I finally saw The Force Awakens for the first time and was totally in the mood for some space combat. Unfortunately Game had Battlefront reduced to £19.99 so I got that instead. The power of discounts, as evidenced by NSMBU. Glad to see it doing relatively good...but, as @Angelic_Lapras_King said, it's probably gonna fall out next week, or just drop...by a lot. Still, glad to see it having a good start. @aaronsullivan What's the difficulty like? A couple of years ago I bought SF64 on VC for $10. Got to about level 4 or 5, died, the game screen said "Game Over"and put me back at the beginning, and I never touched it again. We weren't going to get it, not too interested, but the co-op is intriguing. And we are probably going to shell out $15 on Guard as a download, and with our Prime 20% that makes SFZ about $33, most of which I can get back as a trade-in at Gamestop when we're done. So I'm thinking about it. And in both cases, the games would've been undeniably better with a standard control scheme. I could actually manage with Uprising though (for short periods anyway), it wasn't so much a difficult control scheme as it was an absurdly uncomfortable RSI inducing one. @Xjay and maybe Skyward Sword? I'm really enjoying SF, especially in co-op mode. If you have someone to play with you locally, I would thoroughly recommend it. I don't hate the control scheme, it just feels largely unnecessary and elsewhere, a little forced. There are moments where it 'clicks' but it's in short bursts for me. I find co-op is way more fun, personally. The review average is unfair in my eyes, as it's a decent, polished game. @rjejr - only bad part about co-op is you have to beat a level solo before you can play it in co-op.....having said that I got use to the controls pretty quickly and have made it through the 1st 4 levels but can't advance any farther cause the boys won't give up playing the co-op levels so I can beat more. Gonna need them in bed early so I can play some tonight since I had to endure the pain of Pistons being swept last night. Difficulty wise It's about the same as what I remember 64 being but each level you can start individually and there seems to be 2 checkpoints per level so if you die, you start at last check point you past, until you are out of lives and then you start the level over. After putting in around fifteen hours or so into the game this past weekend, I can say it's a lot of fun. The controls make the levels more intense, especially the dogfights with Star Wolf, and the scoring system has been improved. Also some of the boss fights are nerve wracking in a good way. It will be interesting to see if sales keep good the following weeks or if this is just because of the early adopters getting the game. I appreciate the sentiment of people saying "they should have at least included standard controls as an option", but anyone who's played the game should be aware that it simply wouldn't function well without something approximating its current setup. They're not just different for the sake of being different; they're at the core of the entire game's design. They don't just "achieve the same thing" as 64 in an overly complicated fashion; it doesn't take a particularly sophisticated thought experiment to realise that being able to shoot almost anywhere is the hemisphere in front of your craft opens up a lot of new gameplay possibilities, and these possibilities are taken advantage of. If you stripped them away, you'd likely have a game that was actually broken and near unplayable, as you simply wouldn't be able to hit much of the stuff you're supposed to. It'd be like if Nintendo released a patch for Wooly World that make it so that Yoshi could only shoot eggs in one direction; there would simply be targets that were impossible to hit, and even ones that weren't impossible would bcome a whole lot more awkward. For example, a few of the bosses have you circling a large, round enemy (and therefore flying at around 90 degrees to its centre), whilst sniping parts of it as they come into view. Without the decoupling of flight path and laser path, this would be a complete pain in the face; shooting enemies almost directly below you would be reduced to guesswork; and how you'd defeat the final boss (without abandoning target view altogether) is beyond my imagination. People are assuming this game is just Star Fox 64 with gimmicky Gamepad waggling 'tacked on', but it's really not. It's been said in numerous interviews that the game started with the gameplay and later became Star Fox, so if anything it was Star Fox that was 'tacked on' to the controls (not that you'd know it, given how close it feels in atmosphere to 64). Personally, it's probably the most exhilarating game I've played on the Wii U, and that's largely due to being able to do stuff that's never been possible in a Star Fox game before (or really, any other game full stop). It's probably not absolutely perfect, but it gets so much right which makes it memorable and fun. Sadly, it's been difficult to discuss the game holistically, as every debate never seems to progress much further than the controls. Personally, I would have liked to see one or two more crazy sonic-speed obstacle based levels like Sector Omega that make it feel like someone's hoisting up the back of your underwear with all the might of Thor. That level was SO cool, and even though it didn't really make use of the Gamepad as much as the others, it was an absolute blast to play. Anyway, I'm glad it's doing well. I do feel the game deserves it. @Maxz The Gamepad makes the bosses more interesting compared to previous installments' hovering in front of the boss waiting for their weak points to show. I'm not saying the predecessors bosses are bad, but Zero mixes the formula up a bit in a fun and unique way. Also, Sector Omega definitely got the blood pumping. I was not prepared for it. Ratchet and Clank didn't have a big marketing campaign, in fact it's been a common complaint in the PlayStation community. So the fact it was successful wasn't down to a supposed huge marketing, just core fans throwing down their money. @JaxonH I absolutey agree the SFZ and SFG combination is definitely worth the price of admission! @Peach64 ah my friend your comments much like polygons review of SFZ is sad and yet entertaining...maybe there will be a day where u simply enjoy playing video games for fun also i wouldnt be surprised if SFZ became like W101 where people flapped their lips about it in the beginning and then flip flopped when they actually played the game...kinda like you did LOL! @JaxonH Oh so you're wrapping up Conquest? Awesome! I honestly love Conquest better than Birthright even though I didn't wrap up birthright since I've recently started it. As for Zero, I'm actually surprised that I topped the charts. Maybe people can really see it being great. @Gerbwmu "you have to beat a level solo before you can play it in co-op"
Nintendo, finding ways to be unnecessarily annoying since 1889. Well I suppose it's better than locking the the co-op behind the Starfox amiibo, that was probably discussed as well. Thanks for all the feedback. Been discussing it with my kids this morning, we're still undecided, and somewhat distracted by vacation starting tomorrow. And the 2 boys their age playing catch with a football in front of our house. I've lived here 15 years and nobody has ever been outside on our block except us. It's kind of like that Land of the Lost episode when they see themselves on the mountain top. @adf86 Yeah, I was thinking exactly the same! What "substantial marketing campaign"? As a Nintendo/Sony/Microsoft gamer, I only knew of Ratchet & Clank remake a bit before its release because somebody on PushSquare mentioned it. And the movie has not been released yet. About Star Fox Zero, every first party Wii U game has a decent launch week, because there's not much to buy on Wii U anyway, but I wonder what the total sales are in a few months? I hope they are not very high so Nintendo tries harder next time. @WanderingPB Thanks PB, may buy it on your recommendation. And I'm not too worried about SFZ difficulty as I don't recall seeing any minecarts in the trailers. @rjejr That is not true. I have been playing co-op without clearing the levels solo. You just push X on the level select to start co-op instead of A for solo. EDIT: It appears you do have to beat at least the first level solo before you can do co-op. I guess I did do that as I wanted to jump in right when I got the game and my friend wasn't there at the time. But after that every mission can begin in co-op mode from the map. Also, if you do die several times in a level, a box will appear that will grant you invincibility so you can clear it and move on. @Shadowkiller97 Hey, thanks alot for all of that. I don't really have a problem w/ clearing the first level single player, almost every co-op game I've ever played seems to work that way for some reason, usually story driven cut scenes. Invincibility is something that I always like to have but hope to never use. It makes it a lot less stressful for me knowing I can move on at any time, rather than having to trade the game b/c I get stuck at some point. @Shadowkiller97 That would explain why everybody is able to beat the game whether they have problems or not with the controls. @rjejr I don't like to use invincibility either. However I totally caved and used it for Aquarosa. Immediately afterwards though I felt guilty and tried harder to do it without. @Shadowkiller97 Yes, but you can always go back later and do it without, correct? Sometimes I find it easier to do a level like that just b/c I know what's coming up and when it ends. MUCH less tressful when you knwo the en dis close. I never got past World 2 level 2 in DCKTF b/c that rhino kept falling when the bridge collapsed, no matter how many hearts or balloons I used. Then I read up on a faq somewhere that even after that bridge section there were several more difficult sections before the end of the level. I would never have made it to the end if I beat the bridge a few times but then did after, and never knew when the end was. I did several Yoshi WW levels on casual, flying over them, then went back and replayed them, knowing what was up ahead made it much easier. "Almost there" is much easier on the blood presure than "when is this thing @#$%$#@ going to end!!" @rjejr Yup, you can definitely go back and do it without. In fact, one of the most addicting qualities of the game is the itch to replay a level immediately after completing it, because you get that feeling that you could do so much better after seeing the entire level. The more you re-play, the more you know the level, the easier it is to rake up the score. @GraveLordXD That might be a tough option. You either get a sale on physical copies (online new or used) or nothing, these 1st party games RARELY see a decent sale in e-shop. @rushiosan Until recently. Nintendo now has these 3DS and Wii U Selects on the eShop. I thought I'd never see Zelda and Mario games for half its price until then. Also, before Nintendo Selects, I remember temporary price reductions on some games, that's how I got A Link Between Worlds. Fire Emblem Awakening price was also reduced recently. The only games I've never seen its price reduced are the Pokemon games on 3DS. Any of them. Never. @rjejr LOL! touché my friend. SFZ only hurdle is learning what control method works best for you and then when u replay all the early missions then u see your improvement and then game just clicks...at least it did for me but then again i used to play the snes starfox multiple times a day and would purposely destroy both my wings just to make my runs challenging and that was without the lock-on feature just so u realize how krazy i am LOL! It also has pretty good training tutorials that you can practice on before or in between gameplays. Its difficulty is not as bad as Dux or Neo XYX on the dreamcast but the replay value is the same because it makes you want to improve and reach those high scores especially as u memorize the levels or in this case gold medals Again the game is not perfect but it stands on its own like all the other starfox games do and to me thats a very good game...dare i say great? @DrJoson That's good to know.....I didn't see the option when starting then beat the level so I just assumed. This will drop out next week. 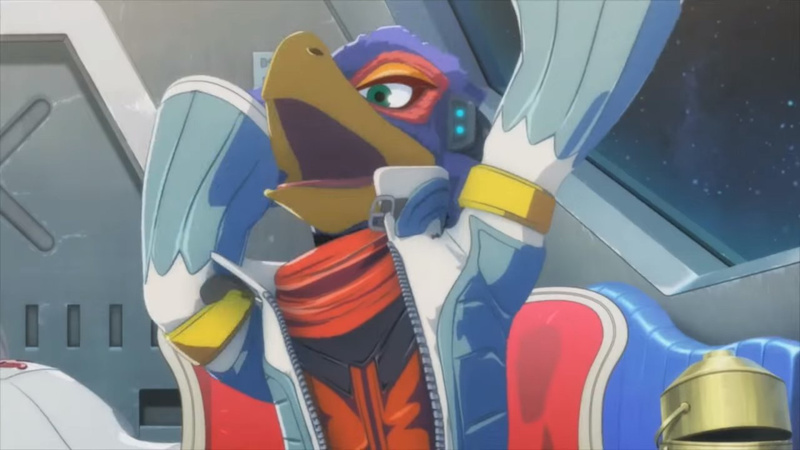 I'm so glad I pre-ordered Star Fox Zero. A definite 8/10, controls are amazing once you get learn the basics. I'm struggling to see the whole Star Fox 64 retread, apart from the opening scene paying homage and a number of familiar lines. It's like being in the Arcades. After finding out Sonic Boom on Wii U was fun and better than any 3D Sonic to date by playing first hand regardless of its haphazard development I've stopped trusting journalists and scores and instead base my purchases on YouTube videos. Honestly, they could have avoided the entire issue. Can't see the Wii U having another top 10 title until Zelda comes out, sadly. Lego Star Wars in June will get there, but probably not due to sales of the Wii U version. Fingers crossed for one or two last surprises at E3. @rjejr Well, one nice thing about this iteration being a "modern" game is it won't send you back to the start like that. You will have to start a stage over again if you lose all your lives, but they are relatively short. Earning lives with the gold rings is still useful so you can pick-up mid-stage when you explode. If the theme interests you, the presentation is fun and dramatic, the co-op helps with the complexity of the controls, but It all depends on whether you'll enjoy the aspect of maneuvering vehicles in 3D. It throws a variety of views, vehicles, situations, and controls at you. I really enjoyed that. My own difficulty experience is that I found some areas to feel really difficult, but then I ended up getting through them in pretty short order anyway. YMMV. Also, I've yet to play through the whole game in single player. If you have someone who you think will play it with you, I think you'll be able to finish it for sure. Probably single-player as well as my 7-year-old zipped through several stages on his own. It's built to be attainable by a wide audience with the extra difficult challenges coming in with repeated play, finding secret paths and stages and trying to up scores and times. The two big sticking points are the theme: Animals in space with shiny but not super realistic graphics is not for everyone. and the controls: some people just want it the way it was and are adverse to motion controls or looking at two screens and will fight it the whole way. You probably already accepted the theme if you are buying Guard. I can't predict people's reactions to trying the controls but I will say that it's not the same as Splatoon. You will need/want to really look at that GamePad screen. The third sticking point is maybe the length of the game. I can't quite comment on that either. Challenge makes a big difference in a game like this. To me the length of the game can't be measure in just one play though. If that is the way you want to judge it than it's short, though. I think you know I've leaned towards preferring game lengths that are shorter so I can enjoy all the content, so you know my bias. 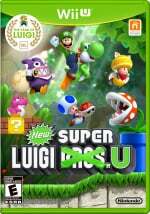 I think people would be more comfortable with this game at $40 rather than $60 with another game, but I like that it's not packed with repetitive stages with only slight alterations. Instead, every stage feels legitimately different. Thanks everyone for the feedback. Was planning on getting this but it turns out my kids really are just not interested and said they wouldn't play it. That's ok, we all have very full backlogs, but just wanted to thank everyone for all the feedback.